​A presentation of the current concept plans for the Make MORE Noyes Renovation was held on Wednesday October 11, 2017 at Kensington Town Hall in Kensington, MD. ​The Foundation is working with Montgomery County to finalize plans for MORE Noyes, while conducting a major fundraising campaign. 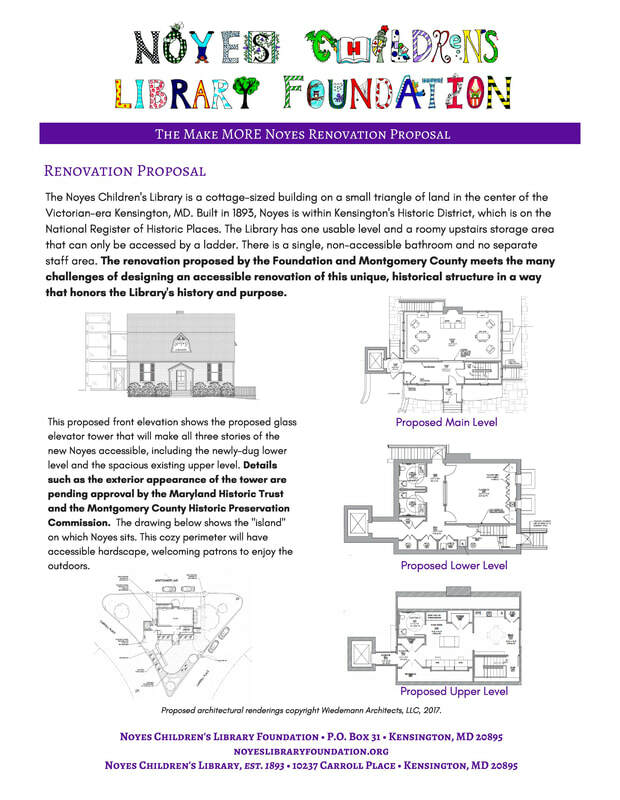 The Foundation has the endorsement of the County Executive, Montgomery County Public Libraries, the Town of Kensington, and the State of Maryland, and has a building design that meets all of Noyes' needs creatively, efficiently and, yes, magically. The architectural team working with the County and the Foundation is refining the original concept design to ensure that the renovated Noyes will honor the historic character of the building while increasing the usable space to the extent needed for the expanded early literacy mission of the Library. 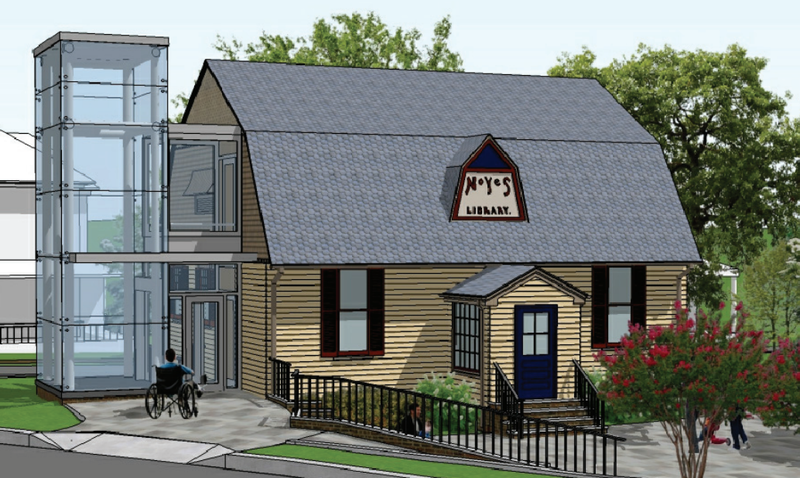 The Make MORE Noyes Renovation Proposal utilizes a storybook tower to house a three-story elevator, joined to the Library with a glass-walled passageway so the historic building maintains its original shape and size. A lower level, enlarged from the existing crawl space, and the existing lofted upper level are accessible through the elevator and stairs. All elements of the proposal are based on principles of “Universal Design,” going far beyond the letter of the ADA standards to the true spirit of inclusion and accessibility. Noyes will now house the Jan Jablonski Early Literacy Training Center, through which MCPL will develop, model and export best-practice early literacy training techniques to librarians, teachers, day care providers, parents and more. Making MORE Noyes will make this vision a reality, with dedicated space and the opportunity for more programs, more outreach and more education.